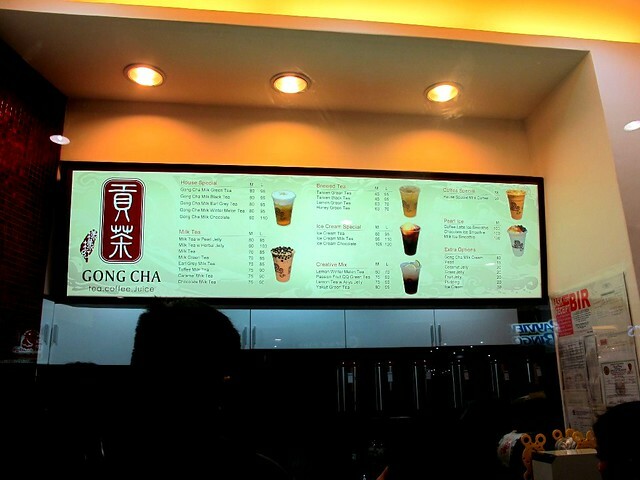 Since we were already in Mall of Asia (MOA) for dinner, we decided to try Gong Cha, the famous tea shop from Hong Kong, which has recently opened in MOA. 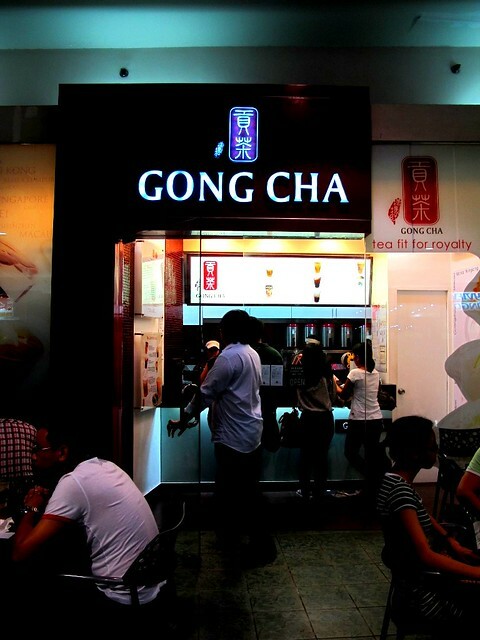 I have read posts from Pinoy bloggers like Shoot First Eat Later raving about the tea from Gong Cha in Hong Kong. Let’s see if it’s really good. 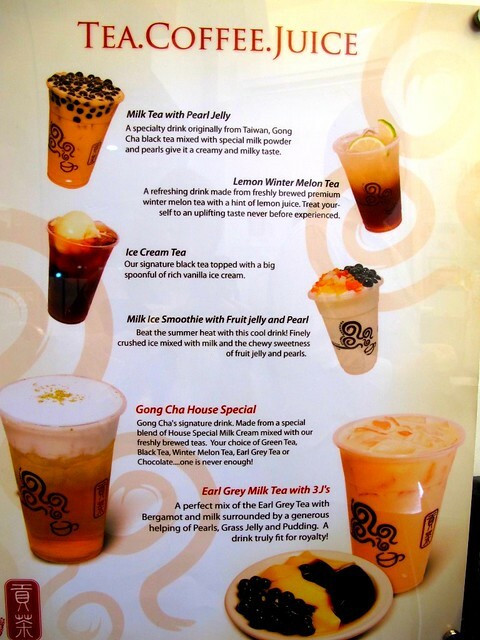 From their menu of bestsellers, we ordered the classic Milk Tea with Pearl Jelly and the Earl Grey Milk Tea with 3 J’s. Actually, we already tried the Gong Cha House Special before and he didn’t find it spectacular. 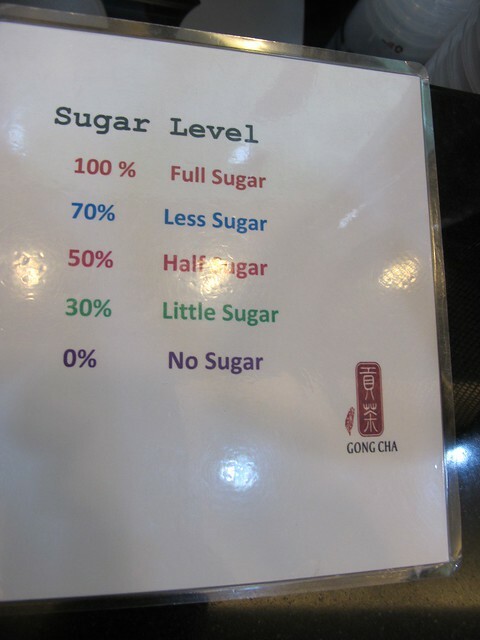 Like other tea shops, we get a choice on our desired sugar levels. Here’s the rest of their menu (click to enlarge). Prices range from P70 to P110 for tea drinks. I must disclose that I’m seeing a nutritionist, with planned meals. While milk teas are allowed, my meal plans also quite limit me on what drinks I can order in tea shops like this and what goes into my drinks. Also, since I can only have artificial sugar like Splenda, I find it very convenient if the tea shop serves sugar alternatives. So far, only Serenitea gives this option. Happy Lemon and Gong Cha do not. I am also still on the quest to find a tea shop which gives a low fat milk option with their milk teas 🙂 Since Gong Cha didn’t give me these options, I guess that also affected how I liked the drinks. 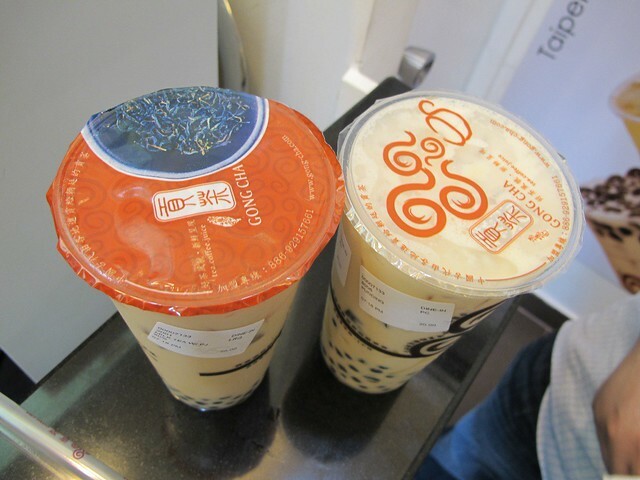 All in all, Gong Cha’s milk tea drinks were good. However, I’m not yet quite prepared to say that they have the best milk tea ever. 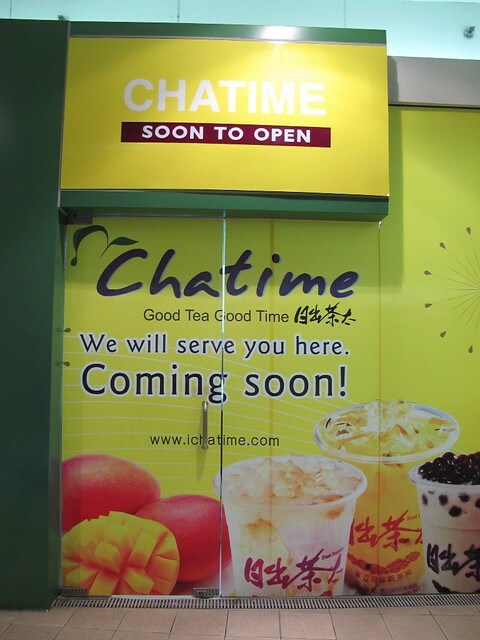 :)And for other news, guess which tea shop will soon open in MOA–it’s Chatime Tea! 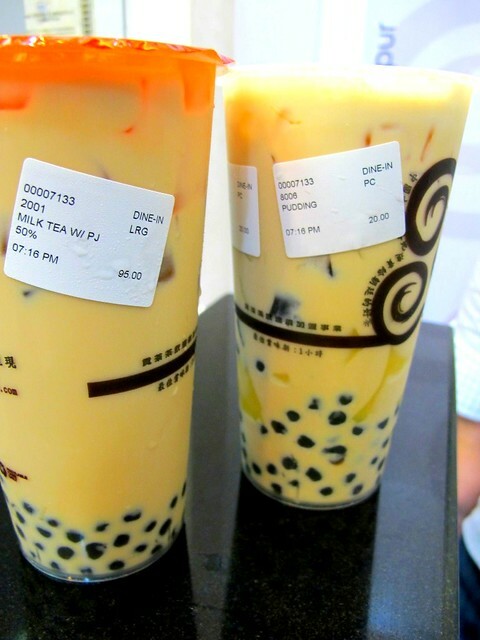 omg i want some of those pearl milk TEA!! !